In recent years, we have seen many processes set in motion that share an aim to widen participation in society: inclusive schools and lessons, disabled access to public buildings, the media and educational and cultural events, dis/ability studies and dis/ability history as new, international research fields that have now also made their way into the German academic system. Hitherto, however, there has been little overlap between inclusive practice at schools and university-based dis/ability research in historical subjects such as history, archaeology, art history, literary history and language history. The obvious idea of linking the inclusion practised in history lessons with dis/ability as a topic, for example, has only been discussed occasionally in didactics, even though this approach would constitute “inclusive learning” in a double sense, both in regard to the learning environment and in regard to the topic of learning. History teaching has not embraced dis/ability history yet, despite this programme’s ability to link a range of different school subjects. By contrast, formats that convey knowledge and science outside school settings are already tapping into dis/ability studies’ and dis/ability history’s potential to establish creative cooperative endeavours, as blogs, podcasts, performances and exhibitions such as the participative projects LeibEigenschaften (Bremen 2012) and Touchdown (Bonn 2016/17) show. 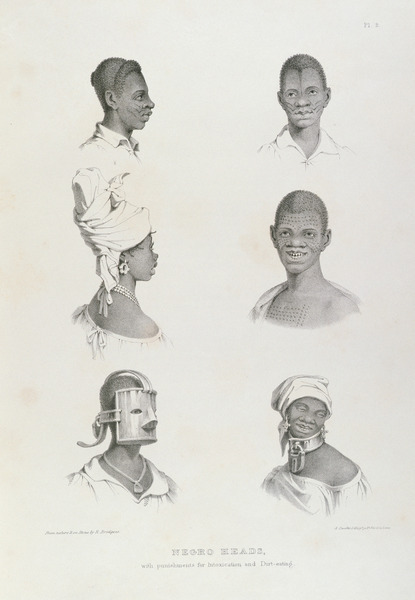 The historical sciences at Bremen University recently used the findings of the interdisciplinary network “Homo debilis. Dis/ability in der Vormoderne” (“Dis/ability in the Premodern Era”) to test ways in which current research approaches could be translated into new teaching concepts. The university’s history didactics and historical science departments both agree on what up-to-date teaching programmes should aim for: both teacher training and MA students should engage with the socially topical and scientifically innovative theme of dis/ability. In doing so, students should explore this field as independently as possible, in line with the ideal of learning through research. They should prepare their findings either to be shared in school lessons or to be disseminated through scientific communication outside school, developing suitable formats for conveying their work to different public spheres and audiences. This will provide students with competencies that are key in a wide range of different jobs. These reflections formed the basis of an experiment. A pilot module (“Dis/ability History - A New Perspective in the Historical Sciences”) consisting of two closely intertwined seminars was taught in cooperation between historical science and history didactics, further supported by a survey carried out by the inclusive pedagogy department. The historical science seminar taught the basic content and methods of dis/ability studies and dis/ability history from an interdisciplinary perspective and spanning various historical time periods. The aim here was to show first and foremost that abilities and disabilities are fluid phenomena that change over the course of history. Different concepts, ascriptions and practices existed and continue to exist in different cultures, social milieus and discourse communities. At the same time, the examples of selected thematic fields such as work, family relations and religion showed vividly how useful a tool the analytical category of dis/ability is: dis/ability – especially in conjunction with other categories such as gender – is a convenient lens through which to focus both on society as a whole and on its various facets. In the historical science seminar, the students developed their own topics and questions, which they aimed to research and prepare for selected target audiences (such as school classes, teachers, interested “laypeople” such as museum visitors or film audiences, or recipients with specific disabilities such as reading difficulties). Screenshot of one of the explanatory videos. The result was a whole gamut of multilayered, original work. In their projects, the students enquire into the ways science fiction films negotiate “normality”, “being different” and “special abilities”, examining the scenario of a society made up of mutants and non-mutants. They investigate the implications of epithets and nicknames such as “the mute” or “the beardless”, from which some contemporary family names derive, in various medieval cultural spheres. They discuss ways in which medieval texts’ and images’ contradictory information on the compatibility of “dis/ability and rulership” can be used in school teaching, also touching upon the expectations we have of politicians and those exercising power today. They cast light upon the beginnings of a psychiatric institution near Bremen, using an individual patient record to show how diagnoses such as “moral idiocy” or “hysteria” were constructed around 1900. They discuss the functions and significance of prostheses in past, contemporary and future societies, from wooden legs to cyborgs. They portray the American writer Helen Keller as a political activist. They dispel myths about the supposed causes of autism. And they enquire into the contemporary challenges of the inclusive school system by critically outlining the development of special schools. The history didactics seminar, where these projects were developed, served as the module’s real “laboratory”. 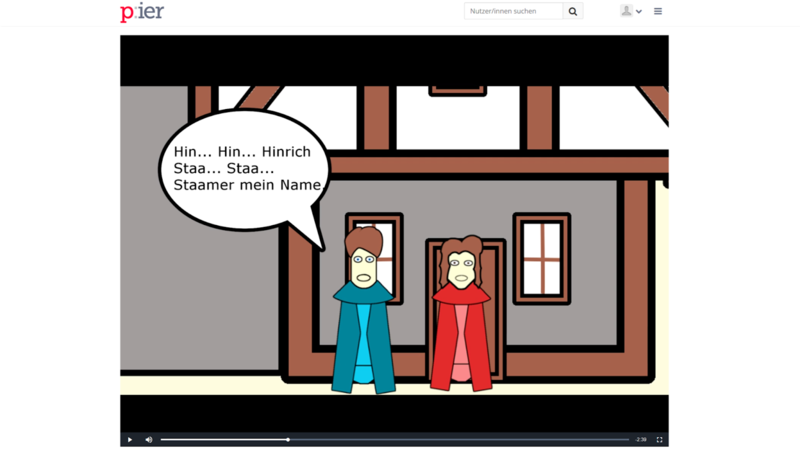 It was decided that the students’ final “product” would be a blog page containing not only text but an explanatory video about the respective topic selected. This rendered the research findings more visible. At the same time, this public exposure encouraged the students to focus on presenting their findings to their target addressees in a manner appropriate to that audience. Beyond the topic of dis/ability, it has been useful for students to engage analytically with the innovative medium of the explanatory video (which also competes with classic lesson formats). Questions concerning the videos’ function (introducing viewers to a topic, enlarging upon or discussing it) and technical possibilities on the one hand and appropriate forms of expression on the other hand were the subject of intense debate. Initially, all of the students saw developing a blog page with an explanatory video as an unusual, challenging and time-consuming form of “exam”. In the end, however, they were all pleased to have produced something that makes scholarly research more accessible to wider circles. The work presented gave rise to further discussion at the well-attended blog release party. The project detailed in this report was funded as part of the federal and state governments’ joint “Teacher Training Quality Initiative” by funds of the Federal Ministry of Education and Research, funding code 01JA1612. The content of this publication reflects the views of the authors. Cordula Nolte is professor for Medieval History at the University of Bremen. Sabine Horn is leader of the Department for History Didactics at the University of Bremen. Cordula Nolte / Sabine Horn (2019): Dis/ability History as a Subject of Teaching and Learning: A Lab Report. In: Public Disability History 4 (2019) 2. Inklusive Schul- und Unterrichtsformen, barrierefreie Zugänge zu öffentlichen Bauten, zu Medien und zu Bildungs- und Kulturangeboten, Dis/ability Studies und Dis/ability History als neue, internationale Forschungsfelder auch im deutschen Wissenschaftssystem: In den vergangenen Jahren sind viele Prozesse in Gang gekommen, deren gemeinsames Leitmotiv die Gestaltung gesellschaftlicher Teilhabe ist. Allerdings berühren sich schulische Inklusionspraxis und universitäre Dis/ability-Forschung in den historischen Fächern wie Geschichtswissenschaft, Archäologie, Kunstgeschichte, Literatur- und Sprachgeschichte bisher recht selten. Der naheliegende Gedanke, zum Beispiel im Geschichtsunterricht praktizierte Inklusion mit der inhaltlichen Thematisierung von Dis/ability zu verknüpfen und somit „inklusiven Unterricht“ im doppelten Sinn zu gestalten, nämlich hinsichtlich der Lernumgebung und hinsichtlich des Lerngegenstandes, wurde in der Didaktik erst vereinzelt diskutiert. Überhaupt ist Dis/ability History als ein Programm, das sich ideal für die Verknüpfung mehrerer Schulfächer eignet, noch nicht im Geschichtsunterricht und in verwandten Fächern angekommen. 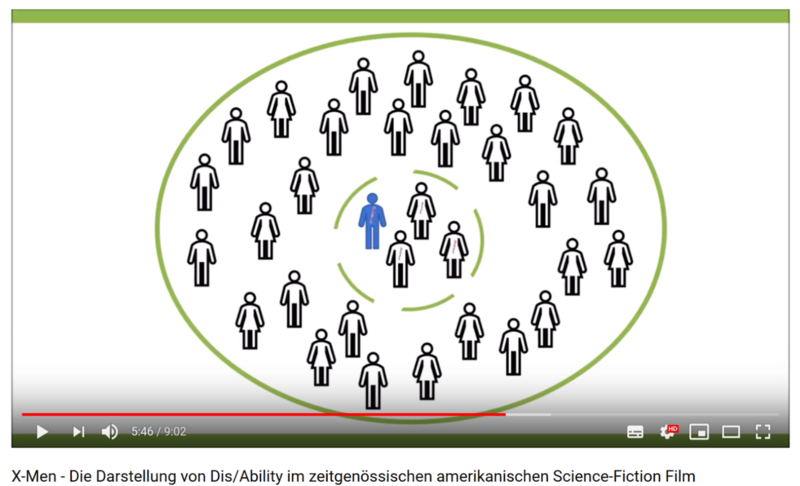 In außerschulischen Formaten der Wissens- und Wissenschaftsvermittlung wird das Potential von Dis/ability Studies und Dis/ability History hingegen schon kreativ für Kooperationen genutzt, das zeigen Blogs, Podcasts, Performances und Ausstellungen wie etwa die partizipativen Projekte LeibEigenschaften (Bremen 2012) und Touchdown (Bonn 2016/17). Ausgehend von den Erträgen des interdisziplinären Netzwerks „Homo debilis. Dis/ability in der Vormoderne“ wurde in der Geschichtswissenschaft an der Universität Bremen kürzlich erprobt, wie aktuelle Forschungsansätze in neuartige Lehrkonzepte überführt werden können. Die dortige Fachdidaktik und Fachwissenschaft sind sich einig über die Ziele zeitgemäßer Lehrprogramme: Lehramts- und Masterstudierende sollen sich mit dem gesellschaftlich aktuellen und wissenschaftlich innovativen Themenfeld Dis/ability auseinandersetzen und dabei, dem Ideal des forschenden Lernens entsprechend, möglichst auch selbstständige Erkundungen unternehmen. Sie sollen die Erträge für den Schulunterricht oder für die außerschulische Wissenschaftskommunikation aufbereiten, das heißt geeignete Vermittlungsformate für verschiedene Öffentlichkeiten und Publikumskreise erarbeiten und somit wichtige Kompetenzen für verschiedenste Berufsfelder erwerben. Aus diesen Überlegungen heraus wurde ein Experiment unternommen. Als eine Kooperation von Fachwissenschaft und Fachdidaktik der Geschichtswissenschaft, flankiert von einer Erhebung seitens der Inklusiven Pädagogik, fand ein aus zwei eng verzahnten Seminaren bestehendes Pilotmodul (Dis/ability History - eine neue Perspektive der Geschichtswissenschaft) statt. Das fachwissenschaftliche Seminar vermittelte inhaltliche und methodische Grundlagen von Dis/ability Studies und Dis/ability History, und zwar in epochenübergreifender und interdisziplinärer Perspektive. Hier ging es vor allem darum zu zeigen, dass es sich bei „Behinderung“ und „Nichtbehinderung“, Abilities und Disabilities um fluide, historisch wandelbare Phänomene handelt. In verschiedenen Kulturkreisen, sozialen Milieus und Diskursgemeinschaften bestanden und bestehen unterschiedliche Konzepte, Zuschreibungen und Praktiken. Zugleich erfuhren die Studierenden anschaulich anhand exemplarisch gewählter Themenfelder wie Arbeit, Familienbeziehungen und Religion, welch brauchbares Instrument die analytische Kategorie Dis/ability ist: Dis/ability ist eine geeignete Linse, zumal in Verknüpfung mit weiteren Kategorien wie etwa Gender, um das gesellschaftliche Ganze mit seinen vielfältigen Facetten in den Blick zu nehmen. In dem fachwissenschaftlichen Seminar entwickelten die Studierenden eigene Themen und Fragestellungen, die sie erforschen und für ausgewählte Adressatenkreise (beispielsweise Schulklassen, Lehrerinnen und Lehrer, interessierte „Laien“ als Museumsbesucher oder Filmpublikum, Rezipienten mit spezifischen Beeinträchtigungen wie etwa Leseschwäche) aufbereiten wollten. Screenshot aus einem der Erklärvideos. Daraus entstand eine Reihe vielschichtiger, origineller Werke. In ihren Arbeiten fragen die Studierenden danach, inwieweit Science Fiction-Filme den Umgang mit „Normalität“ und „Anderssein“ sowie mit „besonderen Fähigkeiten“ im Szenario einer aus Mutanten und Nichtmutanten bestehenden Gesellschaft verhandeln. Sie untersuchen die Implikationen von Beinamen bzw. Spitznamen wie „die Stumme“ oder „der Bartlose“, auf die manche heutige Familiennamen zurückgehen, in verschiedenen mittelalterlichen Kulturkreisen. Sie erörtern, wie man im Schulunterricht die widersprüchlichen Informationen mittelalterlicher Texte und Bilder zur Vereinbarkeit von „Dis/ability und Herrschaft“ behandeln und dabei heutige Ansprüche an Politiker und Machtausübende thematisieren kann. Sie beleuchten die Anfänge einer psychiatrischen Einrichtung nahe Bremen und zeigen anhand einer individuellen Patientenakte, wie dort um 1900 Diagnosen wie „moralische Idiotie“ oder „Hysterie“ konstruiert wurden. Sie diskutieren die Funktionen und Bedeutungen von Prothesen in vergangenen, heutigen und künftigen Gesellschaften, vom hölzernen Stelzfuß bis zum Cyborg. Sie porträtieren die amerikanische Schriftstellerin Helen Keller als politische Aktivistin. Sie räumen mit Mythen über die angeblichen Ursachen von Autismus auf. Und sie fragen nach heutigen Herausforderungen eines inklusiven Schulsystems, indem sie die Entwicklung der Förderschule kritisch nachzeichnen. Screenshot aus einem der Erklävideos. Als eigentliches Labor, in dem diese Projekte erarbeitet wurden, diente das fachdidaktische Seminar. Festgelegt wurde als Produkt die Erstellung einer Blogseite, die neben der textuellen Darstellung ein Erklärvideo zu dem gewählten Thema enthält. Hierdurch wurde die Visibilität der Forschungsergebnisse erhöht. Zugleich sahen die Studierenden aufgrund dieser Öffentlichkeit angeregt, sich mit der Adressatenangemessenheit der Präsentation ihrer Ergebnisse auseinander zu setzen. Jenseits des Themenfeldes Dis/ability hat es sich als sinnvoll erwiesen, dass sich die Studierenden mit dem innovativen (resp. mit dem klassischen Unterricht teilweise konkurrierenden) Medium Erklärvideo analytisch auseinandersetzten. Die Fragen nach der Funktion der Videos (Einführung in ein spezielles Thema, dessen Vertiefung oder Diskussion), nach technischen Möglichkeiten auf der einen Seite und angemessenen Ausdrucksformen auf der anderen wurden hier ebenfalls intensiv diskutiert. Eine Blogseite mit einem Erklärvideo zu entwickeln, nahmen alle Studierenden anfangs als eine ungewohnte, anspruchsvolle und aufwändige „Prüfungsform“ wahr. Am Ende waren alle zufrieden etwas geschaffen zu haben, das Wissenschaft für breitere Kreise zugänglich macht. Bei der gut besuchten Blog Release Party regten die vorgestellten Werke zu weiteren Diskussionen an. Das diesem Bericht zugrundeliegende Vorhaben wurde im Rahmen der gemeinsamen „Qualitätsoffensive Lehrerbildung“ von Bund und Ländern mit Mitteln des Bundesministeriums für Bildung und Forschung unter dem Förderkennzeichen 01JA1612 gefördert. Die Verantwortung für den Inhalt dieser Veröffentlichung liegt bei den Autorinnen. Cordula Nolte ist Professorin für die Geschichte des Mittelalters an der Universität Bremen. Sabine Horn ist Leiterin der Abteilung für Geschichtsdidaktik an der Universität Bremen.